At any given time, the average American maintains between 30 and 50 online accounts. These may be with banks, financial institutions, utility companies, email providers, social media outlets, commercial shopping or travel sites and accounts unique to technology such as an account to purchase apps for a smartphone. Modern estate plans should include an "ePlan" to manage online accounts and online data. There are four specific steps to creating an effective ePlan. These include compiling a list of each account along with an explanation of how each is used; developing a plan for storing electronic information; naming an executor to manage the accounts; and providing appropriate direction to your executor. The first part of an effective ePlan is to gather information and to compile a list of your accounts together with information about the accounts. Your list should specify the username, password account number and a description of what is included in each account. Because passwords frequently change, you should be sure to keep this list up to date. There are four major types of online accounts: personal, financial, business and social media. Examples of personal accounts include email accounts and those used in conjunction with photos, videos, music and apps for smartphones or tablets. The information associated with these accounts is typically backed up on a computer hard drive, a backup drive or cloud account. Financial accounts might include savings and checking accounts, retirement accounts, utility accounts, and accounts related to travel and shopping. Increasingly, people are using electronic devices to bank online, including linking accounts for automatic payments, to manage retirement and investment accounts, and to shop online at sites such as Amazon, eBay, airlines and other companies. Online financial accounts also allow for the management of digital currency such as Bitcoin. In many cases, the estate executor will need the account holder's username, password and account number to identify and access any online financial accounts and to ensure that they can be left to family. Business related accounts could include intellectual property that is part of a website or blog, including written work, photos, videos and musical compositions and software. If you own business assets like these, be sure to discuss these specific assets with your attorney. Examples of social media accounts are Facebook, Twitter, and LinkedIn. These accounts may be valuable or sufficiently sentimental because they contain photos and comments that should be passed on to family. A good ePlan will instruct the executor how to dispose of these assets, such as whether the executor should copy the data from these accounts to share with family and whether to wind down and close these accounts. The second part of an effective ePlan is the development of a plan for storing information. This will involve saving the list that you compiled as well as backing up important data files and account information. Because an ePlan account list contains sensitive information such as usernames and passwords, it is essential to maintain the security and confidentiality of this list. There are three basic options for securing an ePlan account list. First, this list could be handwritten and stored in a safe place. Second, it could be in electronic format such as a spreadsheet saved to a thumb drive. Extra security measures can be taken to password protect or encrypt the file or drive. Third, there are programs that manage, save and encrypt passwords. These programs allow people to connect multiple devices to a password management program and the program will keep the passwords up to date on each device. If you password protect a file, encrypt a drive or use a password management program, be sure to provide your executor or a loved one with the file password or encryption key or with access to one of your devices so your executor can access the password program. For purposes of security, and in order to keep the list up to date, maintain a single list. Avoid saving the list on a computer in case of data loss or a data breach. Do not include this list in a will or living trust; these documents may become public. Save the list in a secure location such as in a locked, fireproof home safe or safety deposit box. Some states require that a safety deposit box cannot be opened after the owner passes away without the approval of the probate court. Ask your attorney if you live in one of these states. If you do, consider storing your list in a home safe. There are several options for maintaining a backup of important electronic information such as pictures, videos, music and archived email. You can back up this information on your personal computer, in a cloud account or on an external backup drive, thumb drive or DVD, which can then be stored in a home safe or safety deposit box. After compiling a list and selecting a storage method, the third part of an ePlan will be the selection of a digital executor. Many states have passed laws that give access to online accounts to the executor of an estate. In some cases, however, state law may limit access if the executor does not have the password or an estate plan does not clearly grant powers to the executor to access these accounts. Accordingly, your estate plan should be explicit in the granting of authority with respect to online accounts, and the ePlan should provide the necessary passwords to the executor. Institutions that provide online account access may give the executor access upon a showing of appropriate authorization in the estate plan or, in some cases, may require an order from the probate court. For some accounts such as Bitcoin, the executor will need the password to access the account. 4. Provide Your Executor with "Digital Directions"
The fourth and final part of an ePlan includes a letter of instruction to the digital executor. This letter will tell the executor how to manage your online accounts and digital assets. It may also provide recommendations for the distribution of various accounts, assets, files and information to family. Information in personal accounts, such as photos and videos, can easily be duplicated. Accordingly, the letter may instruct the executor to produce copies of those files to share broadly with family. 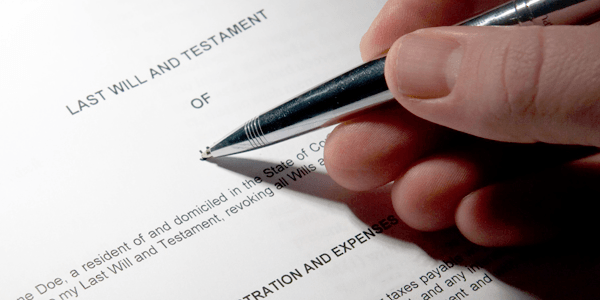 Assets in any financial accounts will be transferred to your chosen heirs according to your will, trust or beneficiary designation form, after which the financial institutions will close your accounts. A letter can also tell the executor how to manage social media accounts. Options for dealing with social media accounts include transferring account management to a loved one so that the account can remain active and serve as a memorial to the original account holder, or the account can simply be closed down. Google, Facebook, Twitter, Apple and other companies have adopted policies to address the situation when an account holder has passed away. These policies may allow an account holder to designate a "Legacy Contact" to manage the account; require specific documentation before a deceased person's account can be closed, such as a copy of a death certificate, court order, notarized letter or obituary; or automatically close an account after an extended period of inactivity, such as three to twelve months. These policies are subject to change, so a digital executor should familiarize themselves with the policies of each account provider and may need to act quickly to preserve important and sentimental information for family and loved ones. Digital estate planning is a new and rapidly changing field. By incorporating an ePlan into your estate plan, you can ensure that your executor will take the right steps to preserve and protect these accounts and that valuable and sentimental data can be passed on to family and loved ones.